A stroke often has more effects than what can be observed physically, for example paralysis of a limb or problems with speech. The “invisible” effects often come to light later on. The damage to the brain can bring changes in the patients’ thinking, actions and feelings, so that his live will never be the same. In cognitive disorders, the patient may for example have problems with perceiving, acting or dealing with language. Research shows that about 80% of patients with cerebral hemorrhage and about 50% of patients with a stroke have acute cognitive impairment. In order to be able to perform an (apparently) simple daily operation, many steps must be taken. These steps are described in the ‘process of information processing’. Also, behavior can be subject to change. After stroke, patients often respond to events differently than they themselves and the people around them are used to. 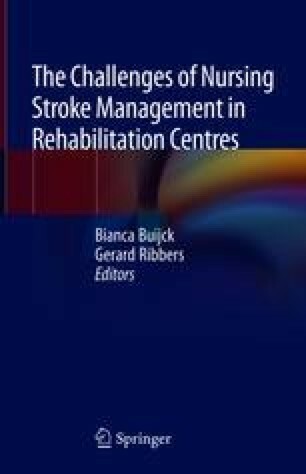 The changes in emotions and behavior of the stroke patient can severely disturb the relationship with their partner and children. Understanding of the invisible effects is therefore of great importance. The treatment of patients with cognitive impairments can focus on function recovery, strategy training (Internal compensation) and adjustment of the environment (External compensation). However, the success of the treatment, depends on the severity of the injury. In addition, actually recognizing the disorders in relation to daily functioning is of importance. Clear planning and consistent implementation, treatment and guidance by all those involved increase the likelihood of success in the rehabilitation.